Hello. We apologize for this inconveniece. Did you mean the Import Data App? If it is so I could not replicate the issue you have posted. 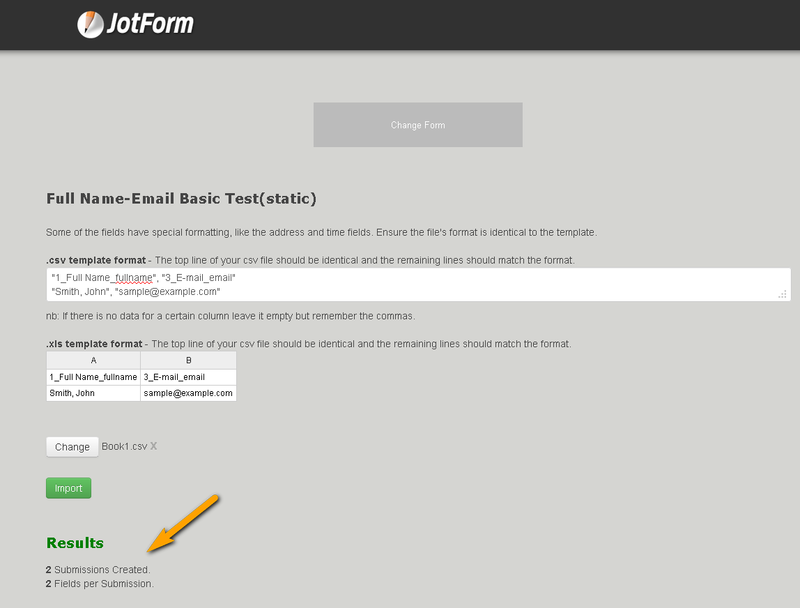 I successfully imported my data on a test form using this JotForm Application. You may try to clear your browser's caches first and then sign in again. Afterwards, go to your "Account Settings". Then click "API". Delete the permission for "Import Submission". This will totally clear all settings in regards to this application. Hello, I have cleared your form's caches from our end. I also whitelisted your IP address. Please see if this makes any difference on your end. 3. As a last resort you may choose to use a proxy client like UltraSurf. Please download Ultrasurf and run the application. Please visit http://www.Ultrasurf.us to download the application. You could also connect to a free VPN such as Hotspot Shield for Mac if your are using a Mac. Both a proxy client or a VPN should use a different DNS server rather than using your ISPs DNS. As it could be a problem between the connection on your end and the application's domain. Misconfigured DNS is one of the common causes.